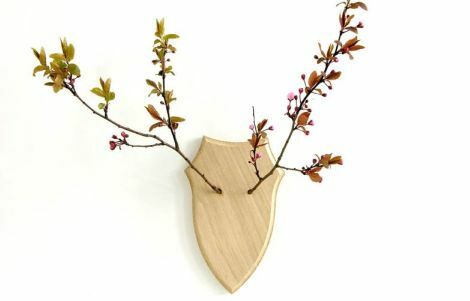 look at this witty and gently surreal dear deer wall piece. 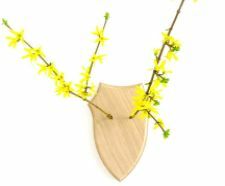 simply place branches in the holes of the wooden plaque to achieve the same effect (sort of) as a majestic chopped head of the real thing! it’s created by austrian designer bernhard grafl for walking chair design studio and comes in solid oak in your choice of light or dark stain. 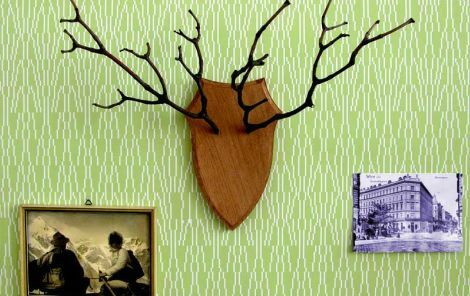 i bucked the deer trend (!) that continues to remain quite popular, but actually this is one of the most clever interpretations i have seen. and to be frank, this appeals to me much more than a big ol’ head hanging on a wall. 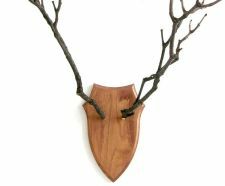 purchase the dear deer for â‚¬ 25(about us $39) right here. i want to see what you make when it is finished!